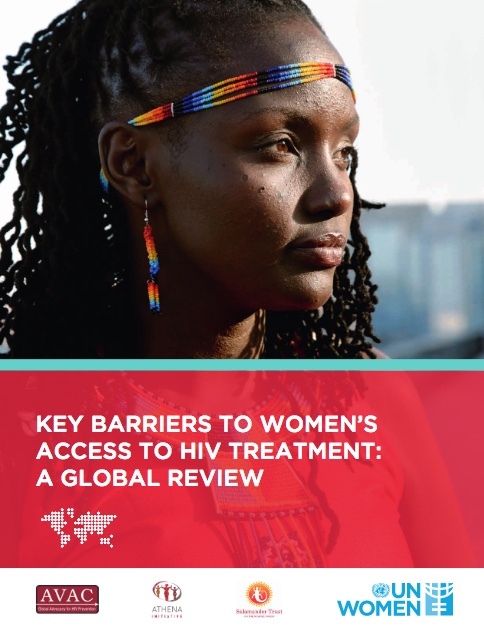 UN Women has commissioned a global review of HIV Treatment Access for Women. December 2017: To access the Review Report, click here. December 2017: To access the Journal of Health & Human rights article about the Review Phase 2 findings, click here. This review seeks to identify key gaps related to women’s access to treatment and understand the barriers women face in the pathway to accessing treatment and care. AVAC, ATHENA and Salamander Trust were selected to coordinate this review. July 2015: The preliminary findings of this report and a poster illustrating the participatory research methodology we developed for it were presented at the International AIDS Conference in Vancouver in July 2015. Please click here to access the original July 2015 Vancouver four page findings overview document. Please click here to access the slide deck from our panel presentations on Sunday 19th July 2015. Please click here to access the poster we had at the Vancouver conference about our participatory methodology. July 2016: A follow-up presentation took place in Durban at the International AIDS Conference. Click HERE for the updated Durban July 2016 four page findings and recommendations overview document. July 2016: Click HERE for the pdf of the powerpoint presentation at the session in Durban 2016. For more information in English please click here. En français. En español. In Russian. In Arabic. We seek to study the impact of structural and social factors (at national policy, service delivery, community, socio-cultural and individual levels) on women’s access to treatment. There are gaps in knowledge in access for women and girls living with HIV, in all their diversity, that we hope to inform. We aim to provide information and recommendations that will be critical to realizing many of the individual and public health benefits of effective long-term quality HIV care, treatment access and coverage. We plan a range of activities including a quantitative and qualitative literature review, several country case studies and a range of dialogues led by and with women living with HIV. We plan to identify key global, national and local policy, social and structural barriers to treatment access. We will also explore best practices, concerns and recommendations with regard to ART access for women overall, and with specific attention to emerging strategies, such as treatment as prevention (TasP) and Option B+. We are working with a Global Reference Group of women living with HIV to support and guide the project and lead the dialogues. We see this as an opportunity for women living with HIV to contribute experiences, hopes and concerns related to ART access at a critical time in the context of the response in our countries and communities. Please do contact us if you have any questions or ideas to share about this research.